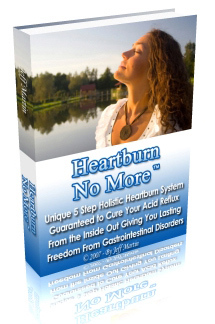 Many people suffer from heartburns, acidity, chest pain and the like. However, very few people know that these may just be the symptoms of another type of disorder called as GERD. It is difficult to diagnose GERD, if the patients don't attribute the constant heartburns and other related ailments to their proper cause. However, GERD comes to light when the pain becomes unbearable and consistent. The doctors then try different ways of diagnosing GERD, when they are approached by patients suffering from symptoms brought on by this disorder. GERD or gastroesophageal reflux disease is caused when the gastric juices reflux to the esophagus from the stomach. This typically causes the signature heartburn symptom in most patients. However, patients suffering from GERD can also suffer from serious chest pain, nausea, vomiting, coughing, wheezing and more. Some may also get unpleasant acidic taste in their mouth because of GERD. GERD can cause many complications if it is left untreated. The main reason why GERD goes untreated is that it does not get properly diagnosed. If you suspect that you have GERD, it is extremely essential that you consult your doctor who can use different ways of diagnosing GERD. 1) Introspection: People suffering from GERD cannot help but introspect their behavior more closely if they suffer from constant bouts of this disorder. Usually, the first diagnosis is done by the patients themselves, even if they don't know the name of the disorder from which they suffer. Usually, the doctor takes note of the symptoms mentioned by the patient to form a tentative diagnosis of his own. Introspection is essential as it can help the doctor to start the treatment before getting the official results. 2) Medical check up of the patient: Your doctor will usually prepare his report on the basis of complete medical check up, which will include barium swallow x-rays, EGD or Esophagogastroduodenoscopy , this is also a form of endoscopy which allows the doctor to see what is going on in your stomach that may be leading to GERD. This type of test is used only when the patient suffers from a myriad of disturbing symptoms including difficulty in swallowing, ulcers and more. 3) Checklists: Before lab tests, a doctor can also take help of certain checklists to find out the intensity of the symptoms and check them against typical GERD symptoms. Checklists can be used by the doctors who have a tentative hunch about the condition of the patient. Some other types of diagnostic tests include cardiac evaluation, esophagus pH monitoring and more. Besides this, diagnosis of GERD depends on the type of treatment you are taking. Alternative medicine also has its own ways of diagnosing GERD in as accurate a way as possible. Alternative medicine also provides safe and effective methods of dealing with GERD. Unlike the conventional forms of treatment, alternative medicine for GERD is extremely efficient as it does not just address the symptoms of GERD, but also locates its cause. When the cause is diagnosed, it becomes easier to treat GERD rather than the symptoms, with the help of alternative medicine.